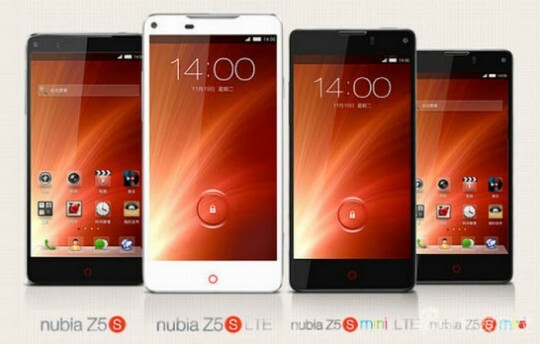 ZTE officially announced both new models – ZTE Nubia Z5S and Z5S Mini at a special event last week. Z5S is a flagship device which arrives alongside a mini version. ZTE Nubia Z5S has a 5-inch screen with Sharp’s IGZO technology. The processor is a fast quad-core Snapdragon 800 clocked at 2.3 GHz with 2 GB of RAM. The other new model, ZTE Nubia Z5S Mini is not as small as the name hints because its display is 4.7 inches. The processor in Z5S Mini is slower – a Snapdragon 600 clocked at 1.7 GHz with the same RAM – 2 GB. Maybe you are curious to learn how the Nubia Z5S Mini performs compared with other popular devices. We found new benchmarks for the 4.7 inch model revealing how powerful this model is. 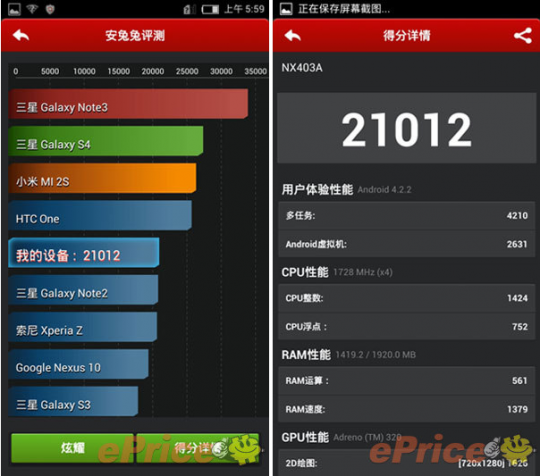 The benchmarks have been done using the popular AnTuTu. According to the test, ZTE Nubia Z5S Mini’s score is 21012 which places the phone between HTC One and Samsung Galaxy Note 2. As expected the Z5S Mini is below the Galaxy S4 and Note 3, but surprisingly it overtakes many popular models like Sony Xperia Z, Nexus 10, Samsung Galaxy Note 2 and Samsung Galaxy S3. Even though the Xioami MI 2 is powered by the same Snapdragon 600 processor as found in the ZTE Nubia Z5S Mini, the first performs better and its score is close to the Samsung Galaxy S4. 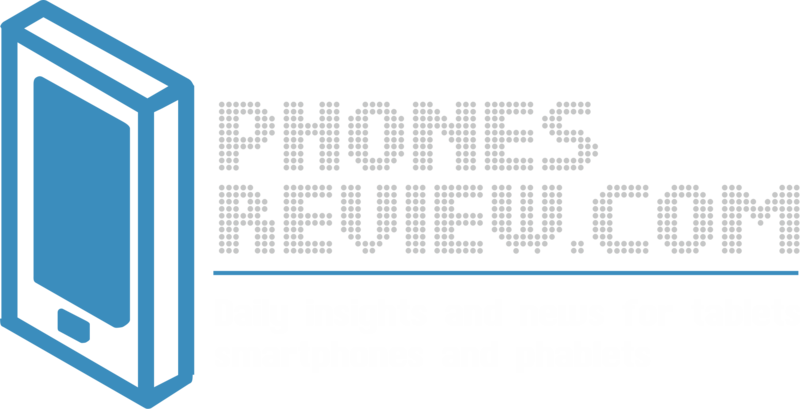 However, it seems that both new ZTE models are not bad options taking into accounts their innards. Both smartphones will be available with 3G or 3G + LTE / 4G connectivity. The 3G version of the Nubia Z5S costs $328, while the LTE version is $567 in China. Prices of Z5S Mini are $246 and $348 respectively.